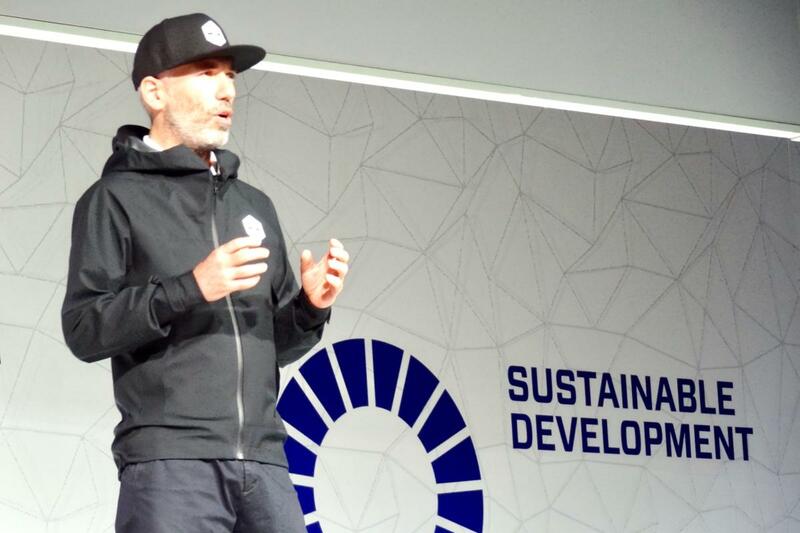 Sverdlov, formerly CEO of Russian mobile operator Yota, set up Roborace last year with the goal of organizing street races that will pit self-driving cars against one another. "In the racing environment engineers are usually in the background. Here the software engineers are the heroes," he said at Mobile World Congress in Barcelona on Monday. Designing and building high-performance race cars is horrendously expensive, but Sverdlov wants Roborace to be an intellectual competition, not a financial one. "It's not a battle of the budgets," he said. 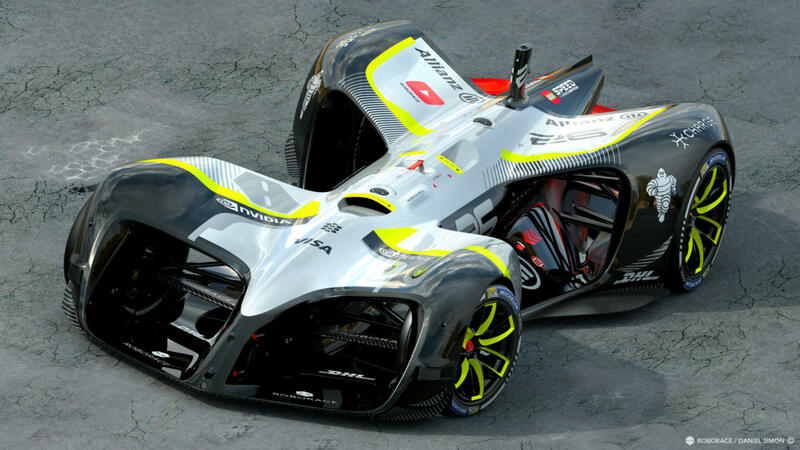 The Roborace Robocar seen in an undated handout photo. Rather than have the race teams compete to build their own vehicles, Roborace is building 10 identical electrically powered race cars of its own, and it is in programming these cars to drive themselves autonomously that the teams will compete. "We do it in a way that all the teams are working on the same hardware. They have to invest all their time and effort in the software," Sverdlov said. Roborace won't be the first electric car race. Formula E already organizes such a championship with human drivers, and the idea for Roborace grew out of a discussion a year ago following the Beijing leg of the championship, said Alejandro Agag, CEO of Formula E, speaking in the same keynote session as Sverdlov and Simon. "These robot races will have a big influence on the future of self-driving cars," Agag said. It's easy to see why. Self-driving vehicles have been pulled over for driving too slowly, and some have expressed fears that they will drive too politely, stopping for inconsiderate pedestrians, but Agag's vision is of a more aggressive artificial intelligence at the wheel. Roborace CEO Denis Sverdlov spoke at Mobile World Congress in Barcelona on Feb. 27, 2017. "Imagine two robots racing side by side towards a corner. Which one will stop first?" he asked excitedly. "It's very easy," he said. "The one with the biggest talent will go through." There's every possibility that these driving habits could trickle down into the self-driving vehicles that may one day replace delivery and taxi drivers, making the technology -- for jaywalking pedestrians at least -- a little bit more familiar. Sverdlov explained that Roborace is deliberately avoiding race tracks for its championship. "Because we want to be relevant to road cars, we use big cities and normal roads to show this," he said. 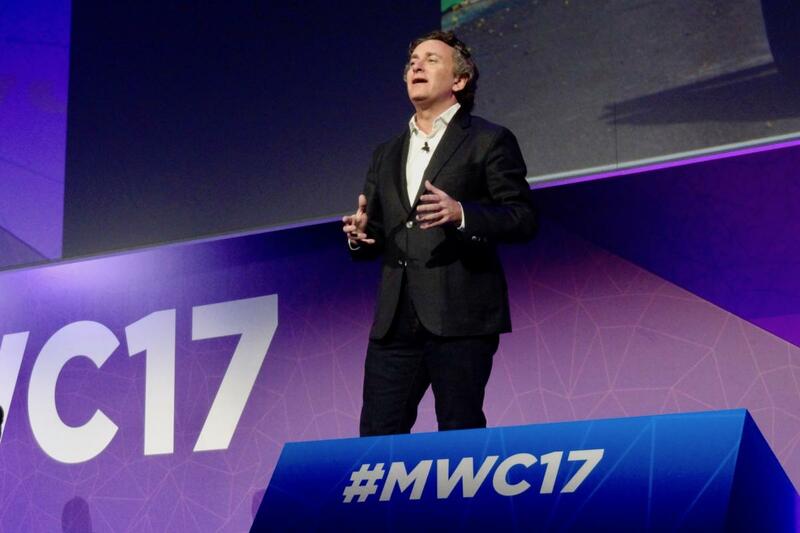 Formula E CEO Alejandro Agag spoke at Mobile World Congress in Barcelona on Feb. 27, 2017. The cars will use similar technology to monitor their surroundings as that employed by other self-driving car projects, including those of Uber and Alphabet's Waymo. 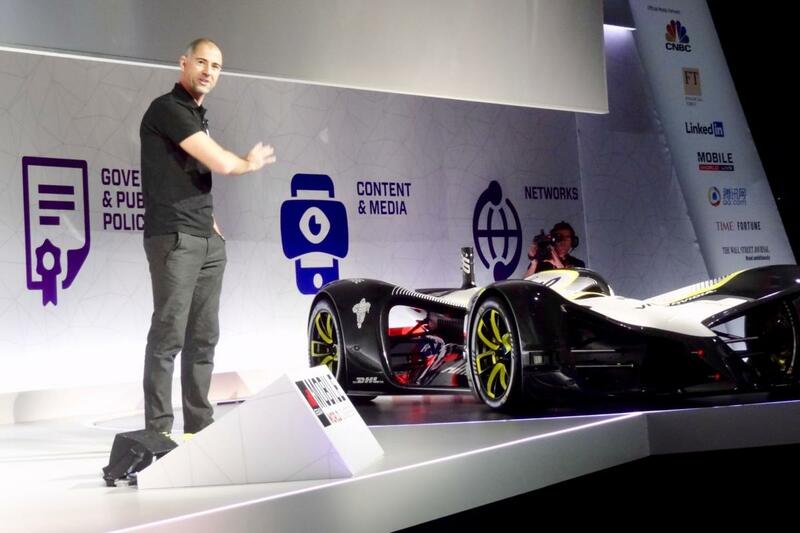 "When the wheels start turning, this car is completely autonomous," said Roborace Chief Design Officer Daniel Simon, presenting the vehicle that he designed. The car is rather showy: Simon's previous vehicle design credits include the Hollywood films Tron:Legacy and Captain America: The First Avenger. At the front of the 975-kilogram car will be four lidar sensors, like radar but with lasers, that allow the vehicle to detect the shape and distance of objects ahead of it, with another one at the rear. Six cameras will provide video feeds of the car's surroundings for its AI, and 18 ultrasonic sensors will complete its picture of its surroundings. The cars' brains will have to think fast to absorb all that information: their four 300-kilowatt motors will accelerate them to top speeds of up to 320 kilometers per hour, a far cry from the 25 miles per hour to which Waymo's prototypes are limited.